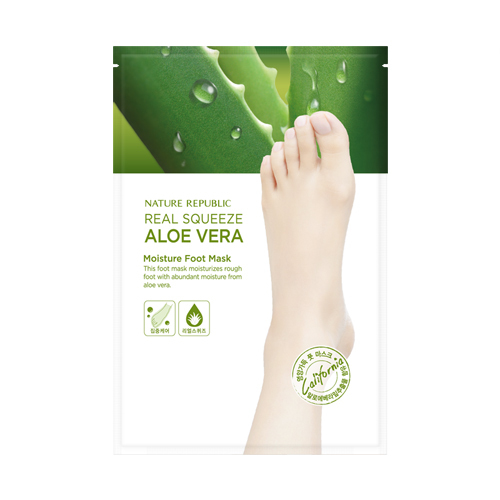 Aloe Vera from California hydrates and moisturize skin. Wash off lukewarm water with foot. Opening the product and put the foot sheet on. After 15-20min removing the foot sheet and absorbing remind essence on the foot.